My family finally found a day that we could all be together! Not just my mom, my dad, and myself, but with my sister as well. Throughout the whole Summer, my sister has been counseling at a Summer camp and hasn't had the chance to make it home for a whole week. Well, a week and a half ago, we were all able to take a day trip to the coast as a complete family unit. It was a lot of fun, and I am so glad that we made this happen. Here are some photos from our trip. 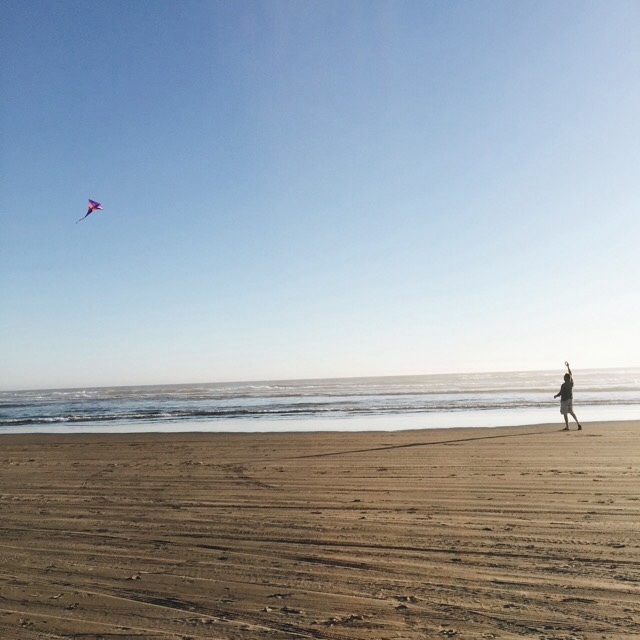 We began the trip in Cannon Beach, Oregon. 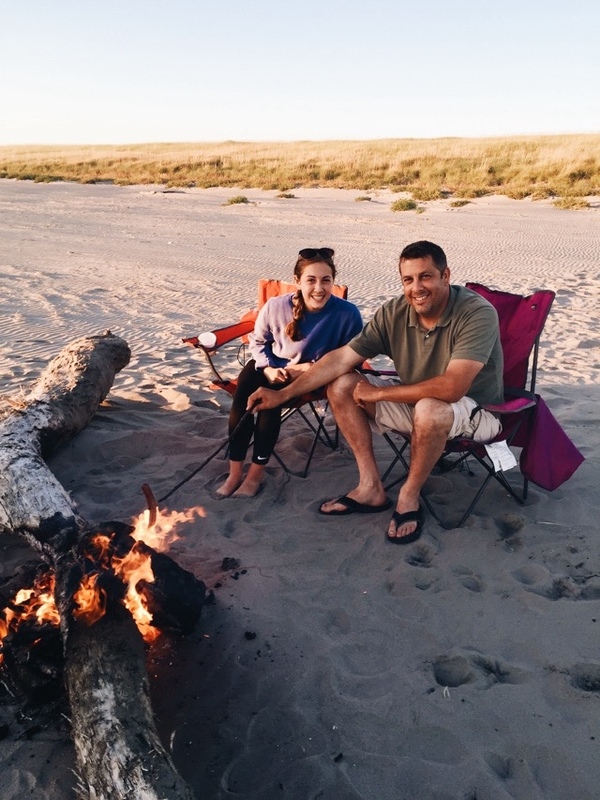 It isn't a beach that we frequent too often, so branching outside of our travel box was so much fun! 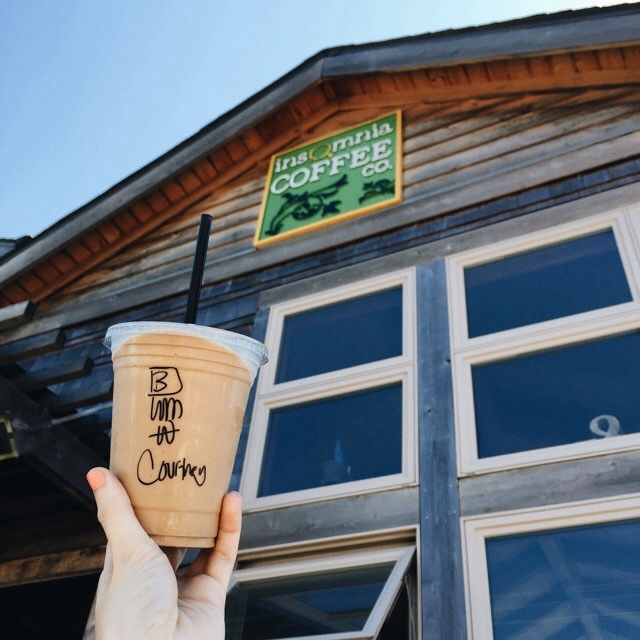 Cannon Beach has this darling beachy town with candy shops, coffee shops, boutiques, and restaurants. It is so darling to stroll through. To our surprise, it was about 80 degrees! We have had such good luck with beach weather this Summer, and this time around we really hit the weather jack pot! I wish that I had brought shorts with me! 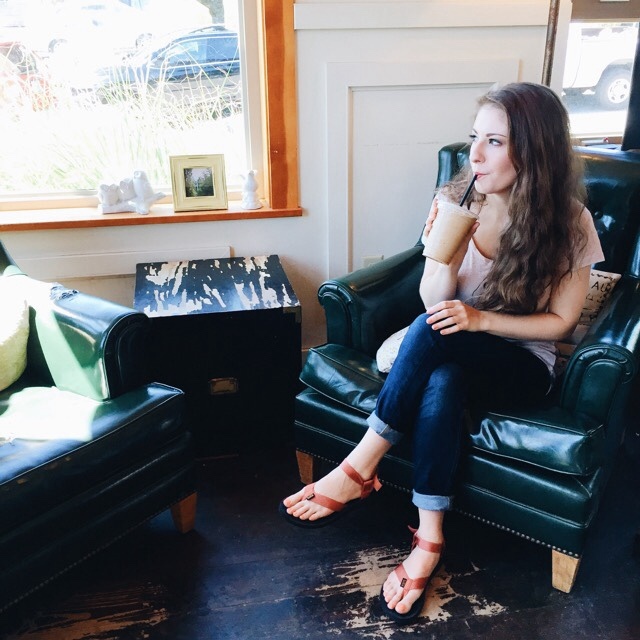 Our first stop in Cannon Beach was this sweet coffee shop called Insomnia Coffee Company. I loved their darling set up when you first walked in the door. I learned that they proudly serve Dapper & Wise Coffee, and it is so delicious. I ordered a white chocolate, blended mocha. That is all I have been ordering lately, they are just so darn good! I wish that we could have stayed longer. It is an ideal coffee shop to take my lap top and do some work in. It wasn't too loud, and there was a lot of natural light. 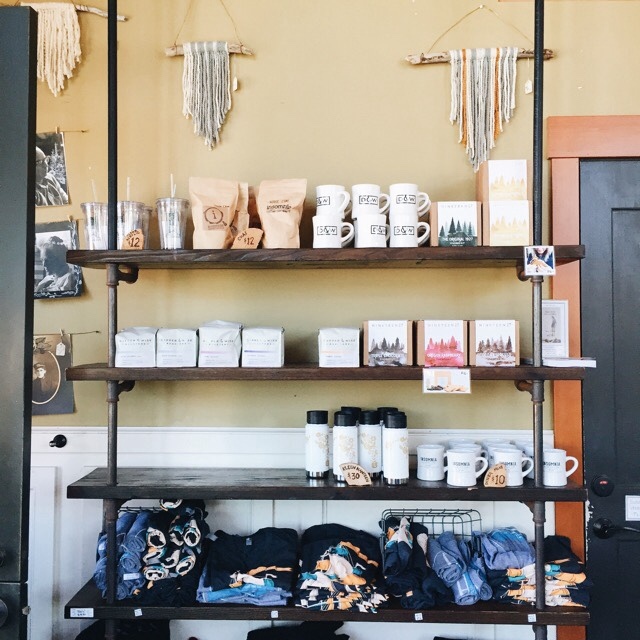 If I ever come back to Insomnia Coffee Company, I think I will stay a little longer and just enjoy the buzz of the shop. Before we went for coffee, we walked passed this pizza shop. Oh, it smelled so heavenly. We decided to eat there after we grabbed the coffees, and luckily we were seated right away. Pizza a Fete had some pretty good pizza, but there were some quirks about this place. For one thing, when the owner (I think it was the owner) brought us our silverware, I was given a crooked fork, which isn't a big deal, but it is kind of funny; secondly, the owner was quite the joker. He liked to joke around with his customers. It was an interesting dining experience for sure. After we ate, we walked around town a little more. We ducked in and out of little shops, and galleries. We went into this darling book store that was the most inspiring. I found so many books that I would love to read one day. When I make it back to Cannon Beach in the future, I will definitely be visiting that book store and bringing a book budget. 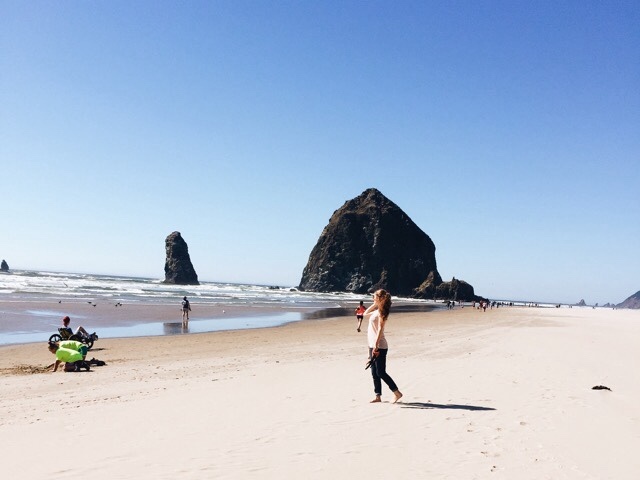 Walking through the town of Cannon Beach was fun, but making our way down the shoreline was the best part of visiting Cannon Beach. 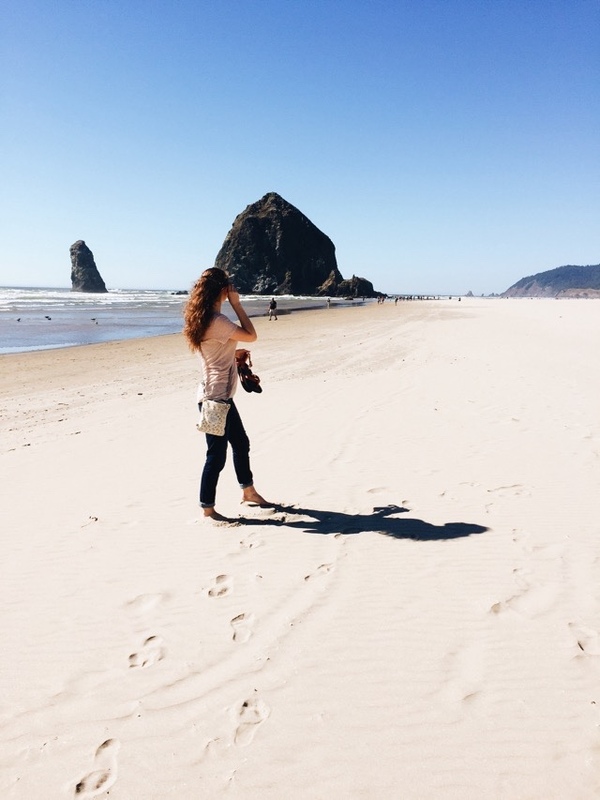 I enjoy Cannon Beach for it's unique beauty, and quaint, small town. It is practically every Oregonian's favorite beach. 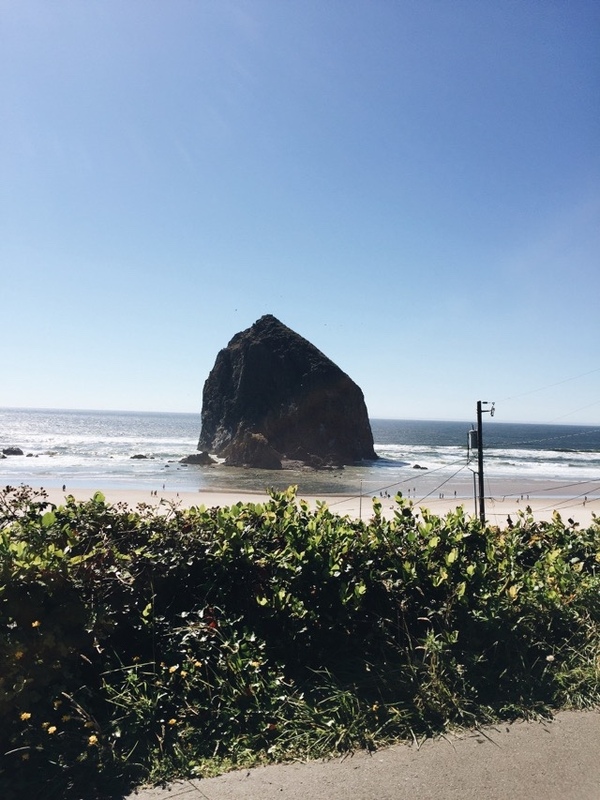 I can understand why, it is because of those majestic rocks that are such an attraction for Cannon Beach, and the cute town, and just the fact that it is a beach! It's fun to visit for sure. After Cannon Beach, we drove about 20 minutes to Sunset Beach. Sunset Beach is a drive-on beach right outside of Seaside, Oregon. My family loves it because you can drive right on the beach, and it requires no trips back to the car because the car is parked right next to you. 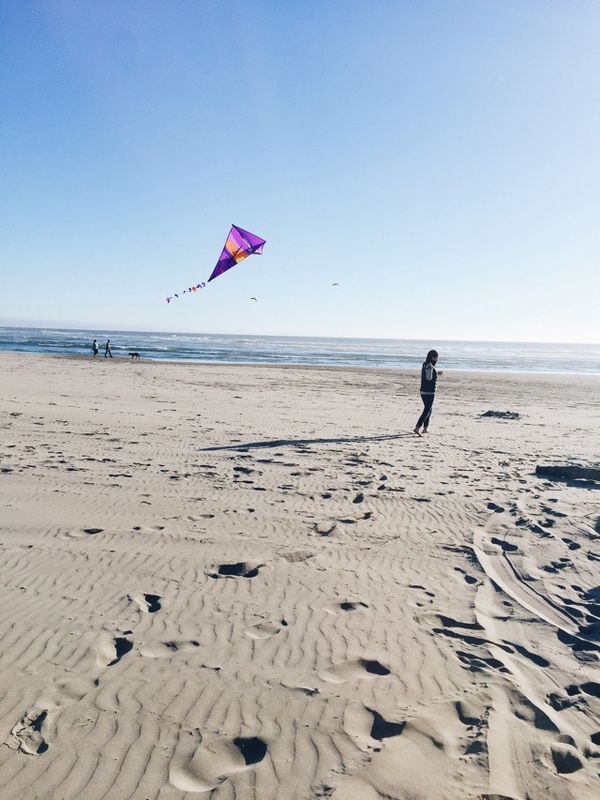 Before we left Cannon Beach, we discovered that we had a kite in the trunk, so my dad bought string from the Kite Factory. 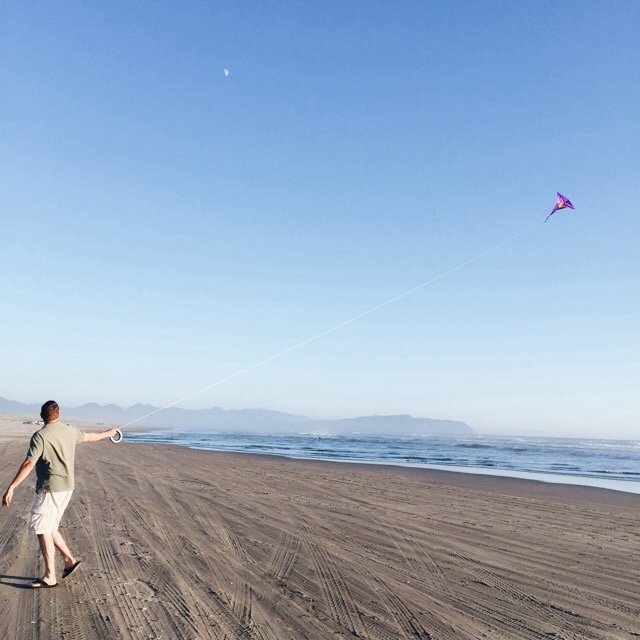 It was so much fun bringing the kite out and flying it. I haven't flown a kite in a couple of years. It is kind of funny because Cannon Beach was so warm, and later that day at a different beach, it became a little chilly, and breezy; so much so that I felt the need to bundle up a little bit. When we brought the kite down from the sky, we realized the kite is taller than I am. 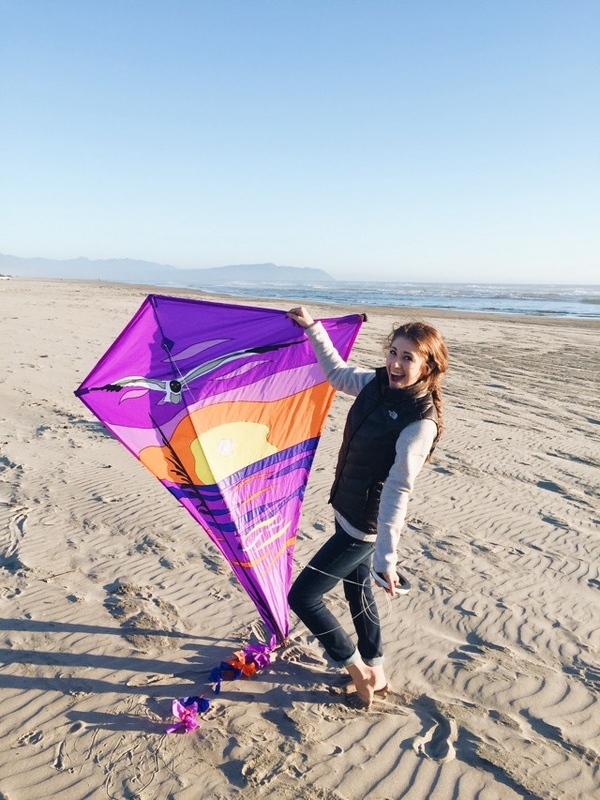 I am almost 5'4, so our kite has to be around 5'5! We thought it was kind of funny. I love our kite! The guy a the Kite Factory said that it was probably an $80 kite. I believe it because it is a large kite, and the design on it is just gorgeous! My dad let the kite string unravel almost all the way. He wanted to see how far away it would go. He is such a fun soul. These photos are of him slowly unraveling the string. It was hard to take photos of the kite when the string was almost all the way unraveled. 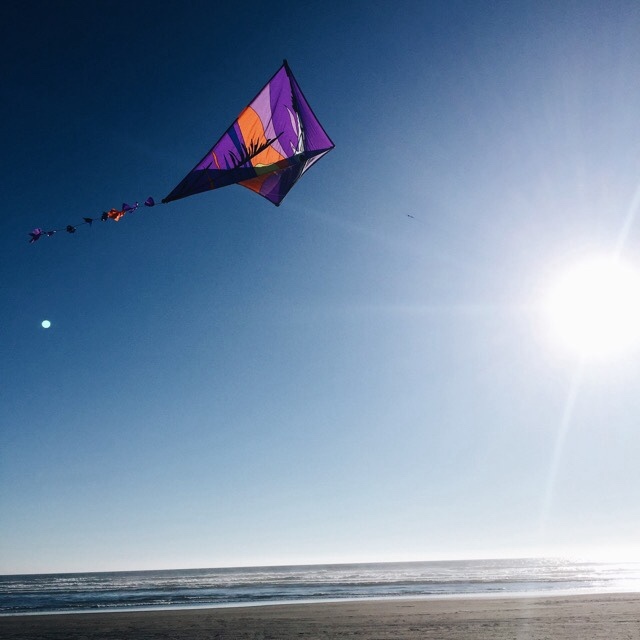 The kite was so tiny in the pictures, it looks almost like a speck! 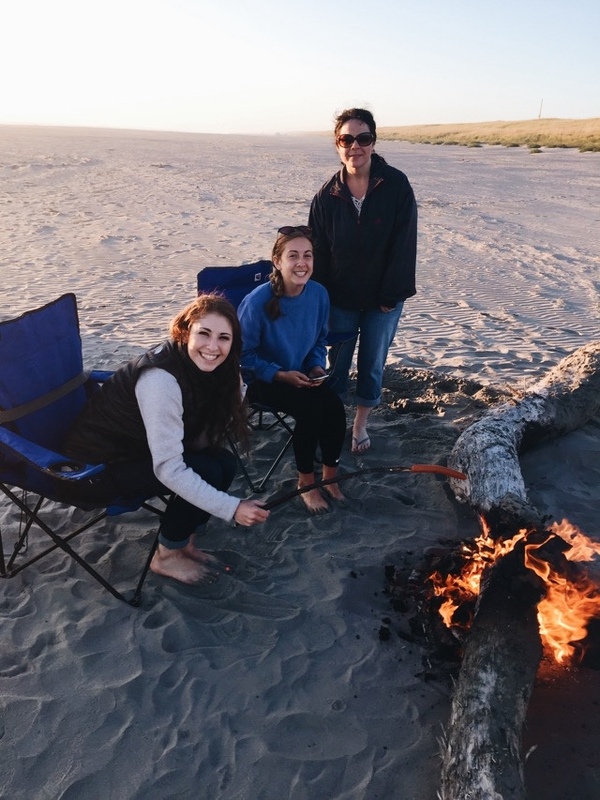 If you are a regular reader, you know that my family likes to make bon fires at the beach, and we like to collect our own fire wood from drift wood lying about the shore. 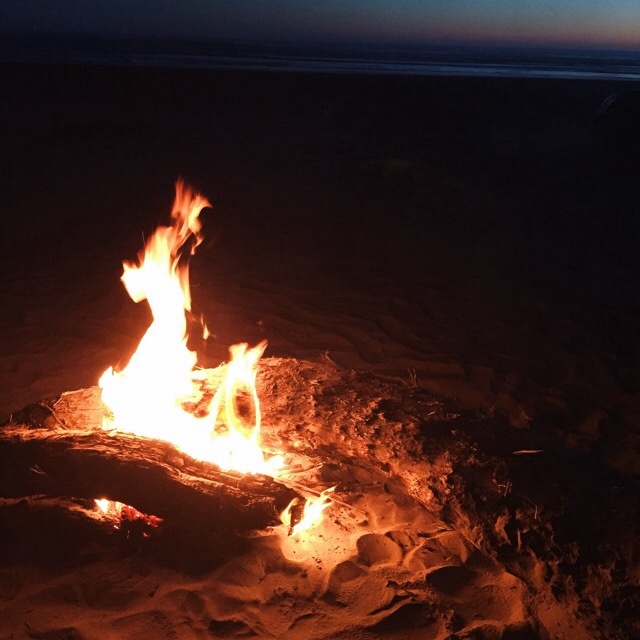 We had the hardest time finding fire wood at Sunset Beach. We spent a good hour and a half looking for wood, and still came out with a scrappy pile. We did find one, big log for the main part of the fire, which was a great find! All in all, it turned out to be a great fire for us. We of course had our Hebrew National hot dogs and pasta salad. 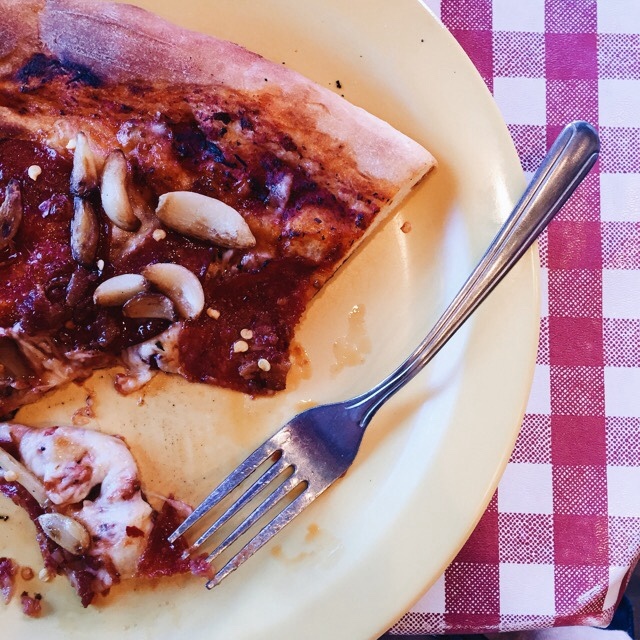 A dinner on the beach is not complete without those items. It isn't a wonder why they call this beach Sunset Beach. Each time I am here, and as the day closes out, the sunsets are just exquisite and so beautiful. 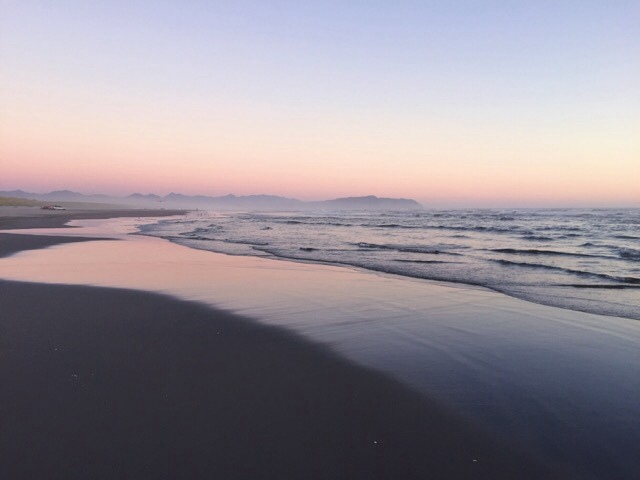 There were times when the sky shifted from looking like cotton candy to rainbow sherbet. These photos below are not edited, and are not covered with a filter, just FYI. We stayed on the beach until about 9:45 PM, and it became so dark! The only light we could see were our own headlights, and the moon shining on the waves. We actually had a hard time finding our way out of the beach because it was so dark. I had to get on my Google Maps to see where the exit was. The reason we were confused was because when we arrived, it seemed that we drove for a long time to get to the spot where we settled. I guess we didn't drive as far as I thought we did. It was such a fun filled day! We ended the trip with a drive home during a meteor shower. I was listening to my playlist on Spotify, and I was watching the meteor shower outside. I ended up catching a glimpse of one shooting star. It was beautiful, and something I will never forget. These family beach trips are so special, and I am glad we were all able to go this time. There is something about the Oregon Coast that just fills me up each time I go. It is food for my soul, and it is easy travel. 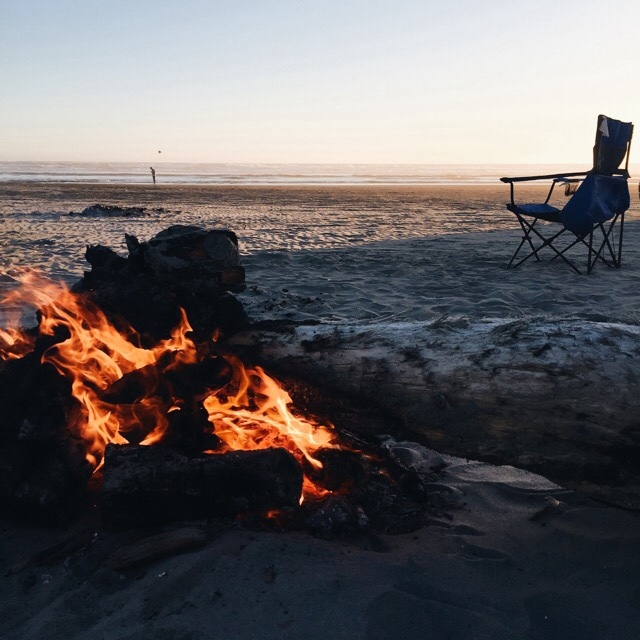 One of these days, I may just take a solo trip to the coast for a day. 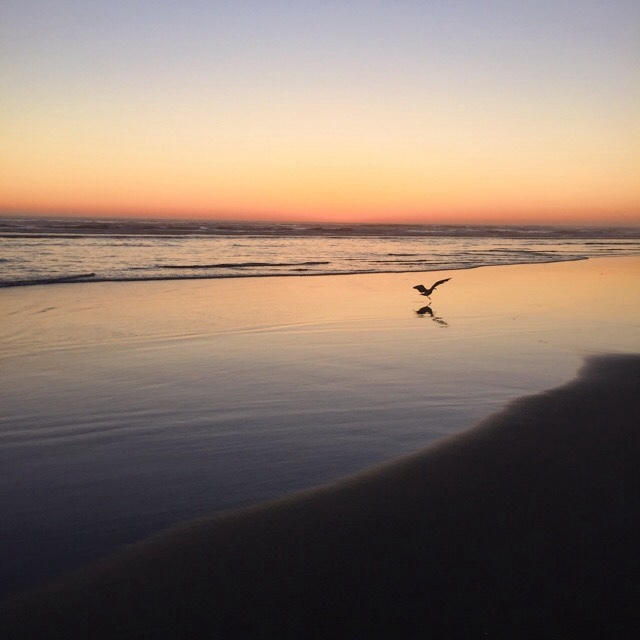 If I can take a solo trip to Pensacola, Florida, I can surely take a solo trip to the Oregon Coast. I am going to do that before the Summer is over. 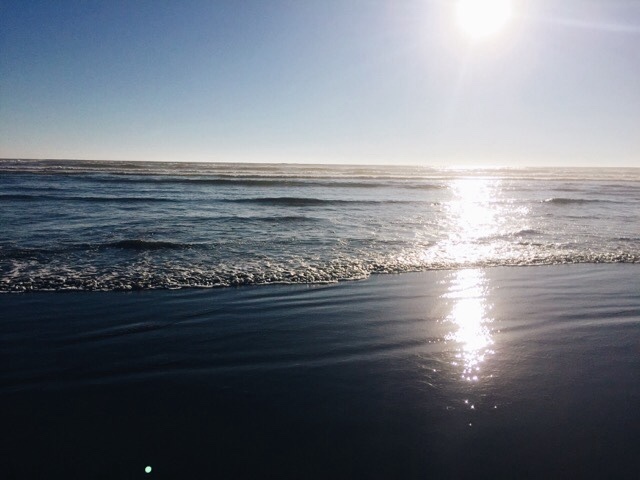 The Oregon Coast will always have a special place in my heart no matter where I end up. Trips are make relax peoples mind. 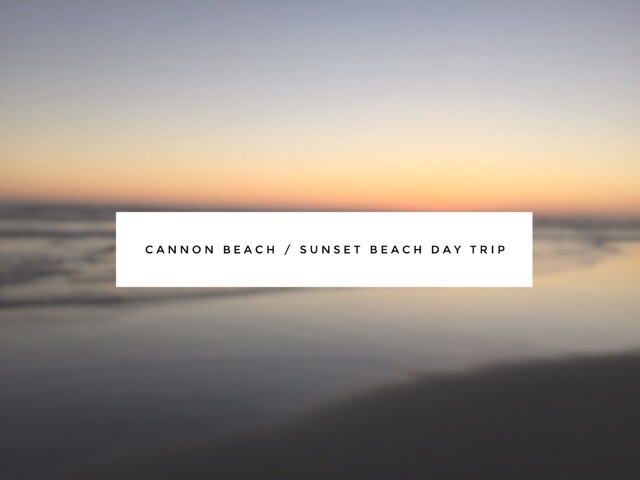 Thank you for sharing your wonderful beach day trip. I really enjoy your post. My keep one blog write a paper, it gives writing ideas to write all type of essay papers.You always welcome to my blog.